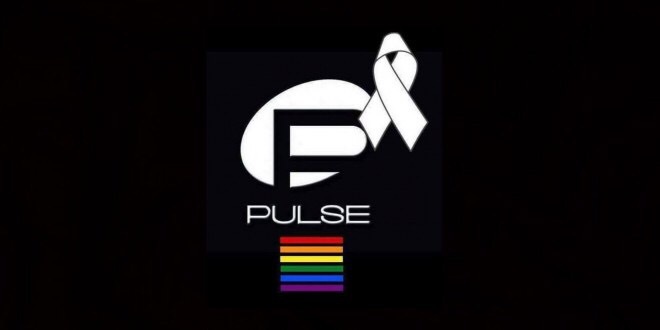 Over the past few days I have written about the massacre at the Pulse nightclub in Orlando which killed 49 people and wounded more than 50 more, mostly male homosexuals. The massacre was committed by an American born man whose father came to the United States from Afghanistan in the 1980s. While the killer swore his allegiance to the leader of the Islamic State in a call to 911 during the attack, it also appears that he was also Gay and a patron night club. He grew up in a family where his father believed and still believes that God will judge homosexuals, and his father talked of the extreme anger that the killer supposedly exhibited a few weeks before the massacre when he saw men kissing in public. The psychological dynamics, the probability that the killing was as much motivated by self-hatred directed at the people most like him, as it was by religious ideology is rich. If this is the case it is an instance where a man killed because his religion condemned him. That is not surprising, it happens all the time, not necessarily the killing, but the outward manifestations of physical and verbal hatred toward homosexuals by people who cannot accept that they too are homosexual. We see it in examples some of the most vehement anti-gay preachers and politicians whose secret lives are revealed. If this case was not so tragic in scale it would have been easy to ignore, but it cannot be ignored. It cries out to be heard, and the hatred that caused it, motivated by religious self-hate, terrorist ideology, and a culture in which Christian and some Muslim and Jewish preachers routinely call for the persecution, death, and eternal damnation of Gays, while politicians at the local, state and Federal level promote thousands of laws specifically designed to persecute and limit the civil, legal, economic, and social rights of LGBTQ people promotes a perfect climate for such crimes to be committed. One cannot promote discrimination, persecution, and demonize a group of people without expecting violence to result. The question is when do good people finally speak up against this toxic climate of hate which produces such avoidable tragedies? Thankfully, some are now doing so, including Lieutenant Governor Spencer Cox of Utah, a conservative Reupblican who delivered some of the most poingent remarks that I have heard in the wake of the massacre. His remarks can be found here: Cox Speech I found them to be incredibly heartfelt and moving. I do hope that others will make the same kind of stand, not just in word, but in deed. When we hate people for their lifestyle, sexual orientation, gender, religion, race, ethnicity, or political beliefs. When we allow demagogues to preach those hatreds and and even give them our vote and political power, we cannot expect that one day, once they are done with their first enemies that they will not someday come after us. Thus it is imperative that we stand against hate in all its forms. Over the next few days I will be meeting a group of Army officers at Gettysburg, so I do not know how much I will post the rest of the week. I do plan on doing another follow up article on my post A Pause to Think dealing with the hard choices of the war that we will have to fight against the Islamic State and other terrorist groups who revel in the terror and carnage that occurred in Orlando, it is not a fight that we can spurn because there are more Orlandos waiting to happen. Have a great day, and I do wish you all the best.